Due to much popular demand I am releasing a print box. This is the very first time I have made the Star Trek : TNG Collection available in such a box and I am thrilled that I can offer two magnificent variations. 30th anniversary of this groundbreaking show. fine art 300gms museum quality paper, bespokely curated. Gates McFadden/Marina Sirtis and Michael Dorn/Denise Crosby. 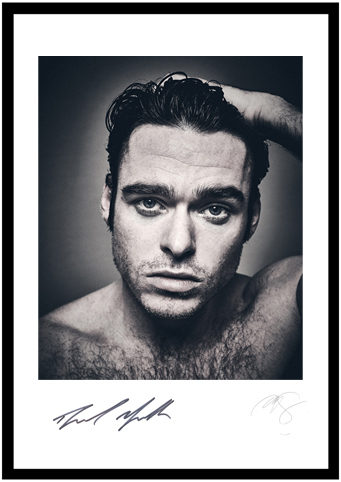 I am releasing a very special Limited Edition photographic print. 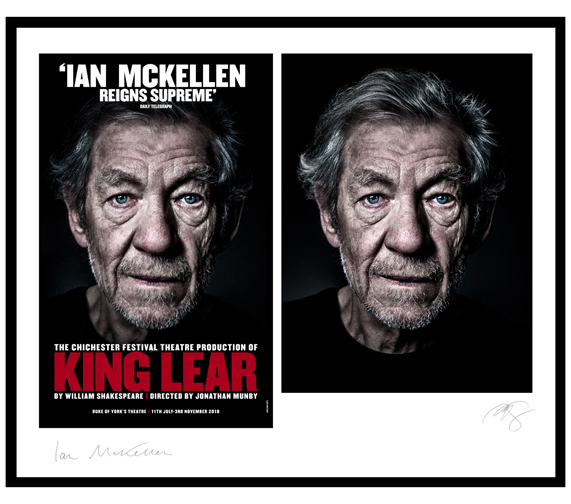 Ian McKellen’s stunning KING LEAR performance. The artist proof is the final state in evaluating the look/feel/colour of the image before the final printing. In this specific case this was the end ‘look’ I created before the portrait was printed for the posters and marketing. 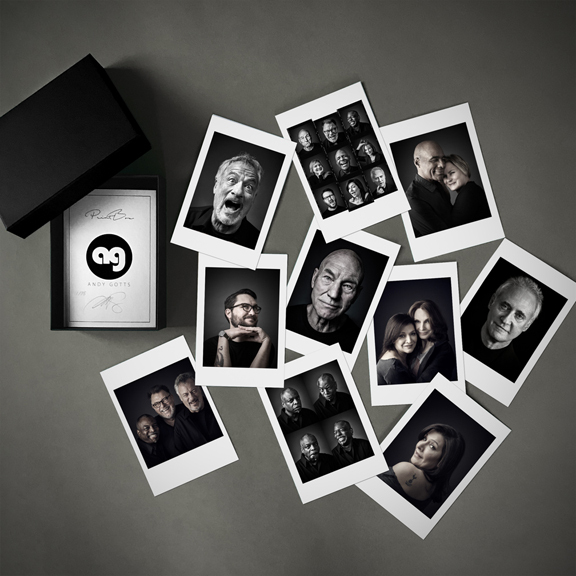 signed by both Sir Ian McKellen & Andy Gotts. 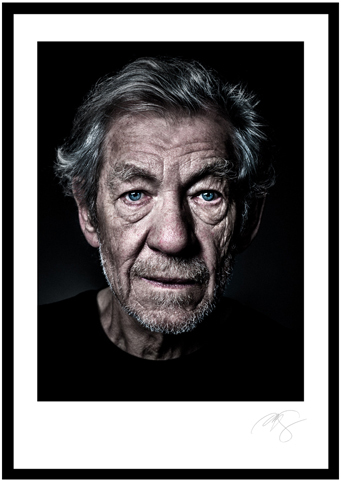 Beautiful print of Ian McKellen. This is the hero shot which was used for the posters and marketing for the sold out KING LEAR performance. 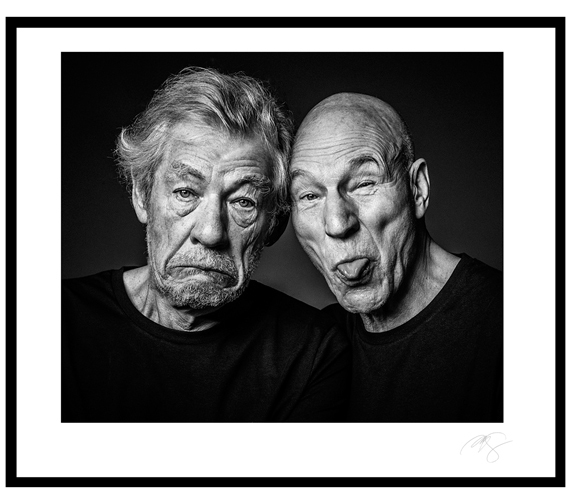 Hilarious outtake from my portrait session with Knights of the Realm, and close friends, Ian McKellen and Patrick Stewart. This shot was taken shortly before Patrick's wedding day, which Ian was the marriage officiant. There is something very special that glows from this portrait, humour, friendship and love is only the start. Game of Thrones star looks amazing in this beautiful shot. Steven Soderbergh's OCEAN'S ELEVEN. 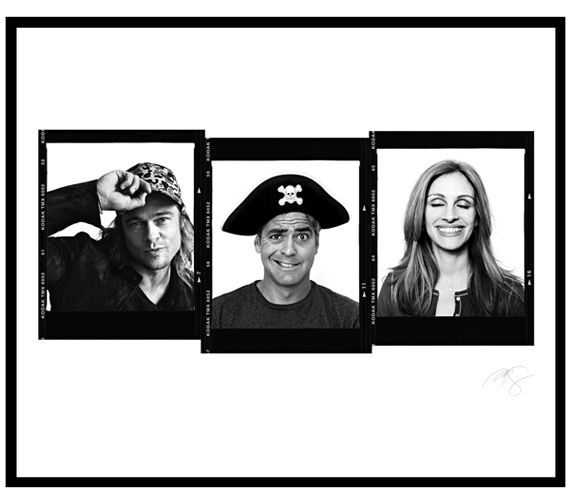 A beautiful triptych of Hollywood royalty Brad Pitt, George Clooney & Julia Roberts. 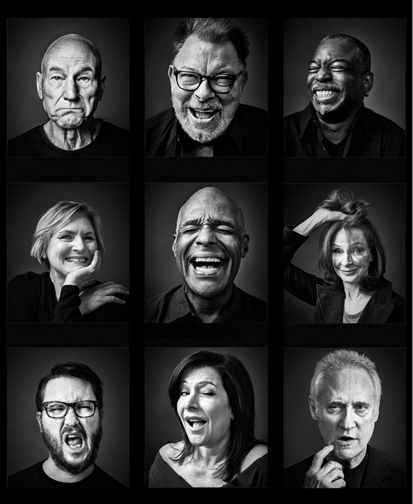 print which contains nine individual portraits of the cast members of TNG to celebrate their 30th anniversary. These shots were outtakes from the original TNG shoot, and have never been seen before as a collection. This photograph was taken as part of my position as the official photographer of the Monty Python Reunion. 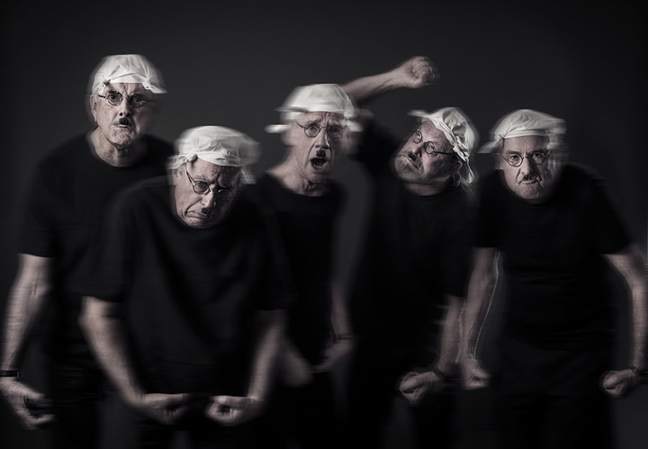 This is a very special shot as this was not only the first time in 30 years that all Pythons had dressed as ‘Gumby’, but it was also the very last time they all donned the knotted handkerchief, round framed glass and gurning expressions. .